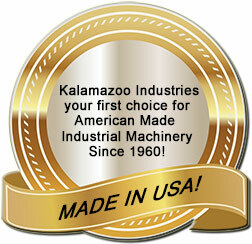 Kalamazoo Industries BG248 2 x 48 industrial belt grinder comes with a 8″ x 2″ serrated 70 duro contact wheel. The high 7200 surface speed allows for quick metal removal with minimal heat! 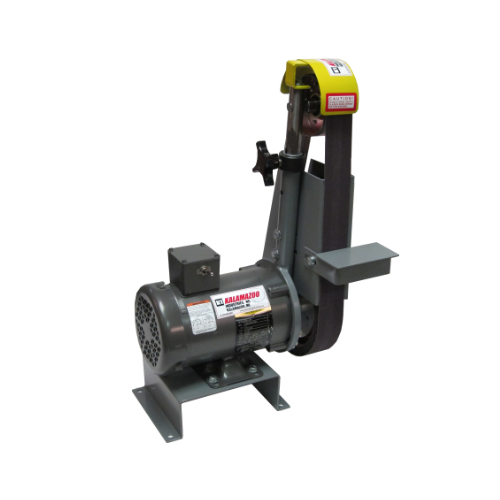 BG248 has a powerful 1/2HP 1PH 110V and a work space of W 2.75″ x H 8.75. 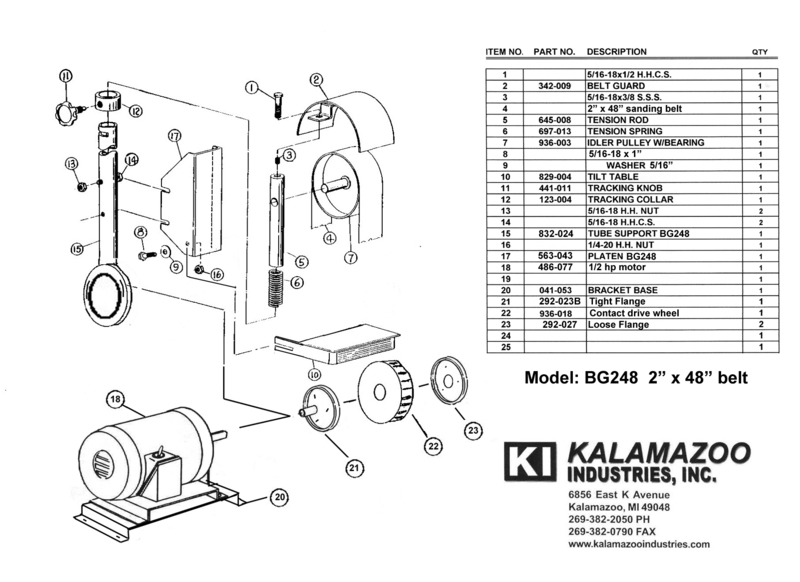 The Kalamazoo Industries BG248 2 x 48 industrial belt grinder has removable platen and work table allowing for slack belt grinding or platen grinding. 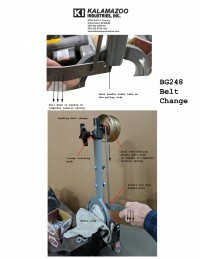 The BG248 offers; quick belt change, versatile platen, contact wheel and adjustable work rest. The BG248 belt grinder is great for aggressive grinding, beveling, deburring, descaling, polishing, finishing and tool sharpening. 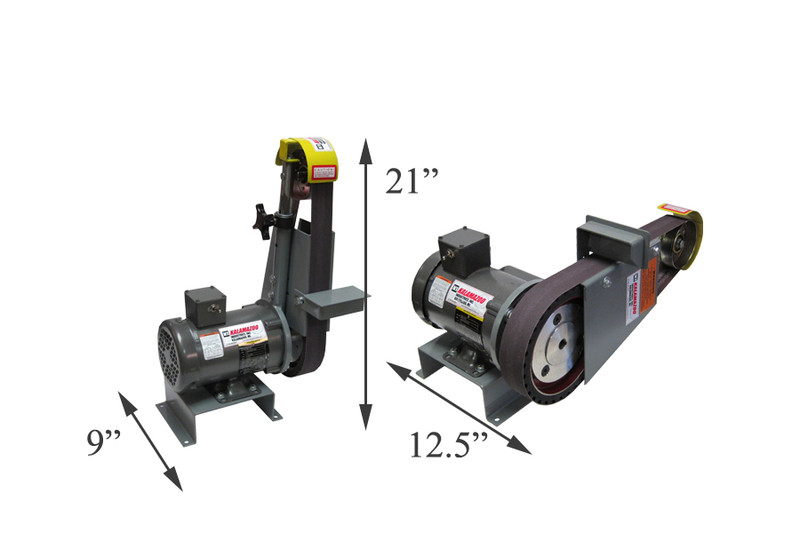 Kalamazoo Industries BG248 2 x 48 industrial belt grinder is multi-position, vertical/horizontal and any position in between. All that needs to be done is loosen up a couple of socket head caps screws slightly, position head to desired position then lock socket head cap screws then your ready to get back to work. 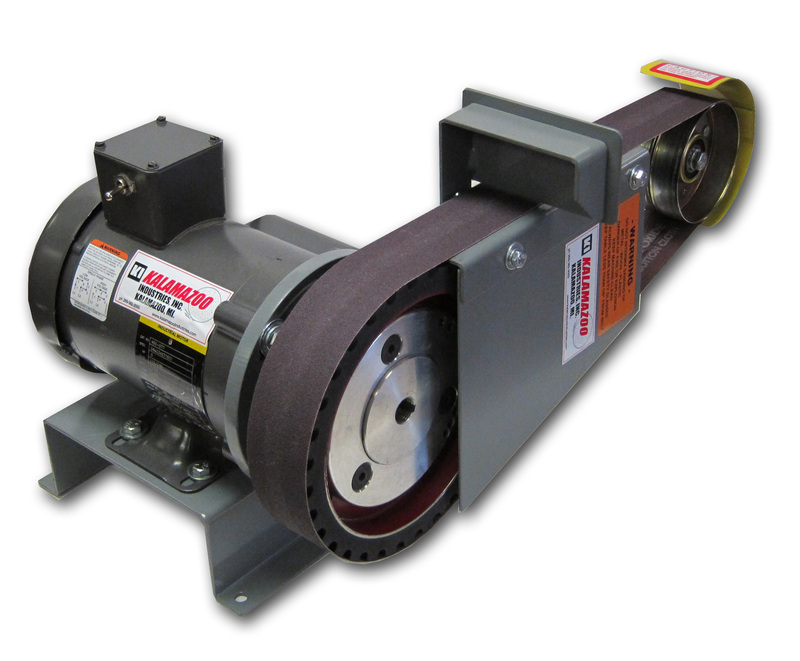 The Kalamazoo Industries BG248 2 x 48 industrial belt grinder removes material quick and keeps it cool to the touch when grinding your material. Multi-position grinder from vertical to horizontal. 8″ x 2″ 70 duro serrated contact wheel.